Viking Sky has a very extensive repertoire of Northern Europe itineraries. Discover the Baltics, cruise Iceland in the rays of the Midnight sun, or go in search for the Northern Lights, there is an itinerary that could cross something off everyone’s bucket list. 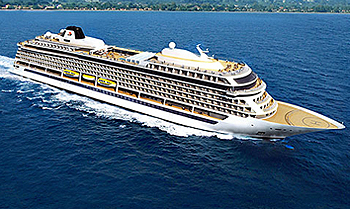 As the weather starts getting cooler, Viking Sky heads to the Mediterranean to operate seven to 14 night cruises in a warmer climate. Don’t forget to look out for Viking Sky‘s cruises to the Holy Land with visit Ashdod (for Jerusalem) in Israel. As the weather cools in December 19, Viking Sky makes her way across the Atlantic to explore the cultural wonderland of Cuba in a series of 7 night itineraries departing from Miami. View all Viking Sky cruises, view a selection of Viking Ocean cruise deals, or view more options for Viking Ocean cruises.